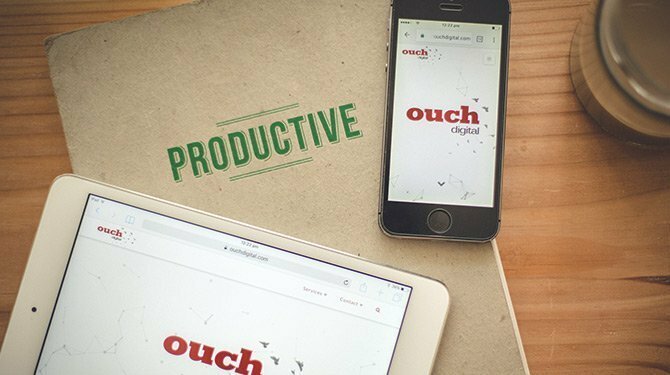 Es ist unser Ziel bei Ouch Digital, Eure Website für die Personen sichtbar zu machen, die für Euer Unternehmen von Bedeutung sind. Wir geben alles, damit Eure Webseite bei Google so hoch wie möglich rankt, um Euren Traffic und Euren Umsatz zu maximieren. Egal, ob es sich um eine bereits bestehende Webseite oder eine Webseite handelt, die Ihr erstellen möchtet, wir sind hier, um sicherzustellen, dass Ihr bei Google die besten Suchergebnisse erhalten. Wir stellen eine umfassende SEO-Strategie zusammen, die den Traffic für Euer Online-Geschäft steigert. Fragt uns nach einer vollständigen Strategie, einschließlich Website-Audit, Traffic-Audit, Content Erstellung, Onpage-Optimierung und Backlinking, um maximale SEO zu erreichen. The online visibility strategy includes internal factors such as your website along with external factors such as your Google My Business account, Facebook page, Instagram account, Linked-in business profile, twitter, Xing, business directories and more. It’s easy to think that more is better but when one online account becomes two, three or five, even ten, soon there are too many to manage effectively. An online visibility strategy aims to bring all of these elements together so you can manage your brands message coherently. And grow your business consistently with the right sources that matter the most . Auditing your website for SEO purposes is a first must-do to see how your website is currently performing. Not all industries are born equal online and finding the right SEO strategy for your business might be different to someone in a different industry. those new users are funneled through your sales funnel. You’ve got the time and prefer to be in charge yourself? No problem. In one of our specialty workshops, we will teach you how to increase your SEO and website visibility for your business to get into the top Google searches for industry specific keywords. We work with you to focus your resources specific to your industry so you have the competitive edge on those around you. Select between one-off or ongoing SEO consultations to bring your SEO strategies to the forefront of your business. Specialised in SEO backend, we improve your SERP and show Google that your business is a secure, valid and recommended point of interest for your prospective clients. We source the most valuable niche keyword strings for your industry and write compelling meta descriptions, so you can start to climb Google’s Search Rankings the right way. Google loves heading tags, so we will make sure that all your heading tags are aligned with your keyword strategy and headers are used in the correct way on your WordPress website. Having clear and defined goals in your heading tags is essential for your website to be found for the right keywords. Heading tags give every page in your website a hierarchy that Google and Bing can read, identify the most important concepts and finally index it appropriately. Optimising your conversion rates means enhancing your content for SEO and for user experiences to get you higher conversions. Writing for SEO is more challenging than just putting words down on paper. Competition is high and the front page of Google is hot property for a lot of businesses, especially your competitors. We will work with you to make recommendations on what kind of written content your website should have, and we can research and write the articles for you. Adding keywords and key phrases to your website copy has a striking effect on your search rankings. We put together a list of keywords that are industry and location specific to your business so that Google can determine better which keywords your website should rank for. We will also tell you how competitive those keywords are and put forward realistic goals to reach so that you rank for them. We believe that empowering businesses to understand and action SEO strategies themselves is a fantastic way to ensure long term growth and sustainability. We can train your team to track traffic, research keyword opportunities and optimise your site to improve traffic at the ground level. Over time you will be able to have complete autonomy to grow and manage the website yourself. We can teach you to research the keywords best for your business so you can write, edit and manage your website copy inhouse.